Kaoru Wang is a young Chinese-Japanese-American filmmaker. Til Tuesday she was playDUcation’s guest here in Berlin, searching for The Killer App that could transform education. With her camera and thorny questions she helped us see how we’re really playing against Prussia. Kaoru and I got to know each other last spring, when I went on a five-week education expedition across the United States. Her and her Chinese mom were so kind to host me at their place in Germantown while I was in NYC, so I was eager to return the favor when I heard she was coming to Germany. “If you want to understand the origins of our public education system, you have to go to Prussia!”, John Taylor Gatto had told our filmmaker friend in New York. Prussia of course doesn’t exist anymore, but plenty of its remnants can still be found in Berlin. It is more than just Prussian palaces, paintings and porcelain on display in museums though: For one there’s Germans famed sense of punctuality, which some consider to date back to the precise movements of Prussian regiments. To be on time all the time is even said to be one of the Preußische Sekundärtugenden, a Prussian virtue. More important for Kaoru’s quest for Education for the YouTube Generation and everyone else working in education: Many of the design decisions from the original Prussian public education system can still be found in classrooms today. Lets start with the idea of kindergarten. It’s a German word for an educational innovation that started spreading around the world since 1840. Friedrich Fröbel coined the term–literally meaning children’s garden–to describe the Play and Activity Institute he had founded three years prior. Fröbel’s breakthrough idea was that early childhood is a time to grow and to learn. Kindergarten should not just be an Aufbewahrungsanstalt, a place were children are put on hold until they’re older, but rather a Bildungseinrichtung, an institution for playful learning and discovery. 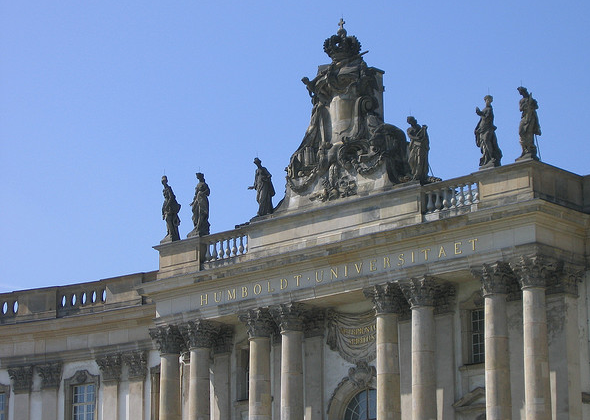 Germany’s second successful educational export is the Humboldtian research university, with its unity of teaching and research. The notion that professor and students should see each other eye-to-eye, that between them there should develop a dialogue of equals is perhaps best realized in the seminars of American liberal arts colleges. Wilhelm von Humboldt and Friedrich Fröbel were both ahead of their times. Many of their far-reaching ideas were not implemented in Germany. How much Bildung fits into Kindergarten is a question that is still debated today. Worse than forgetting Prussia’s most progressive educational ideas is an obliviousness of its darker legacy. Most people then believed that there is a tiny elite of citizens who are destined to fulfill a higher purpose, and many commons who are working on the fields. Even as access to education was expanded and elementary school became compulsory, only “a little read and write” was expected of most kids. One assumed that lower-class children couldn’t master higher-order thinking, that too much of an education would be wasted on them, even dangerous. Unfortunately part of this legacy persists: After elementary school at the age of ten, in most German school systems children are sorted into a three-tiered secondary school system. The college-track Gymnasium is the higher level, Realschule is the name of the general track, Hauptschule is the lowest level. It is reasoned that children who have proved to be weak learners by the end of forth grade will not be able to perform well in Gymnasium and beyond. Their talent is said to lie on the more practical, hands-on learning, that they’re destined for blue-collar jobs and should thus start preparing for those in the Hauptschule. Who had the ridiculous idea of sorting kids according to three distinct talents at the age of ten? It results from a school system of an unequal society. The Prussians famously ran a well-oiled bureaucracy, one in which every citizen was put in their place. What persists is an almost military tradition: By sorting and separating children according to their talents our school system attempts to created homogenous learning groups. Teachers can then order knowledge into children's’ heads, the kids are marching in lockstep through the curriculum. Yet even the German military knows marching in lockstep isn’t appropriate in every situation. When crossing a bridge troops are often ordered to break formation. The soldiers’ synchronized steps may otherwise happen to resonate and amplify until the bridge disintegrates; a whole platoon and the way ahead lost. It is much easier to coordinate our legs than it is to coordinate our thoughts. Thankfully so! Who knows whether a ten-year old child will turn out to be the next Albert Einstein or Angela Merkel? Can we end this silliness of expecting children to learn in lockstep? More educational equality and individualized learning could be the first steps in creating a Killer App that allows us to cross the bridge. Picture of Humboldt University CC BY-NC-ND by user jaywaykay on flickr. Blogpost inspired by Kaoru Wang and her interview with education journalist Christian Füller, who blogged about Kaoru's visit in German.